For over a year now, I’ve had the good sense, NOT to learn more about what I’m about to tell you. But then, I did learn more, and now I am COMPELLED to tell you about it. 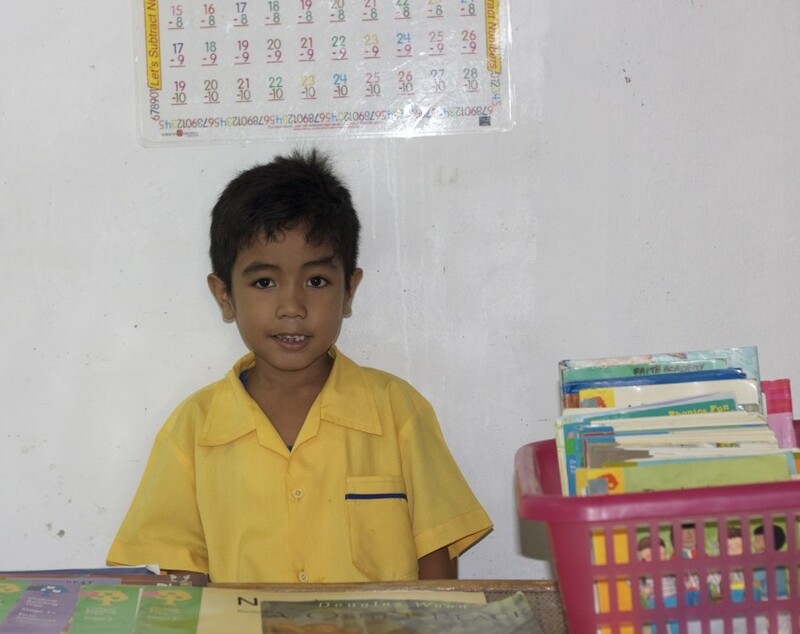 My friend Kim started this school a few years ago in the Philippines. It educates children from five local orphanages and the surrounding impoverished areas. A close friend of mine went there on a mission trip with our church, AND she ended up adopting a child–a sixteen year old girl–after she got back. So while all that is well and good for them, I thought it best not to look TOO DEEPLY into what was going on at the school because, goodness knows, I’m already doing enough for the lost and needy. Ahem. Then Kim asked if I would fundraise for a child to go to the school. I said, “Sure, what the heck.” Because I can be glib and nonchalant, seeing as how I’m rich and comfy and my kids go to an awesome public school for free. She sent me the info, but I didn’t really read the e-mail, and then I forgot about it. Then I watched Half the Sky, which reminded me of ALL that there is to do on this planet. First I felt overwhelmed. IT is easy to get overwhelmed, right?! Then I remembered that I am just supposed to do something, and that maybe we (YOU AND ME) could do this small, small thing. SO I opened Kim’s e-mail and I saw this. SO there you go. She had to send me a picture of the second cutest Kindergartner on the planet. (My son Dylan is the first cutest, duh.) This sweetie’s name is Christian Luzado. His favorite subject is Filipino. He loves the Jesus story and his favorite activity is drawing. When he grows up he wants to be a soldier. But he needs someone to pay his school fees, which are $500 for the year. Here’s a video about the school Kim started, which he attends. I’m not going to beat around the bush here. On average, my blog averages about 100 unique visitors a day. There are more visitors when I post about real food and your awesomeness for buying it, less if I post about poor kids in the Philippines going to school. 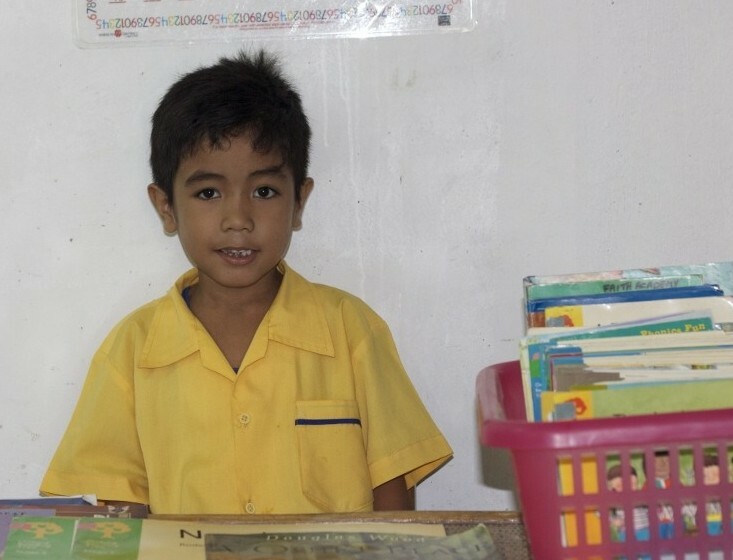 If the 100 of you reading this post click over and give $5, this little boy goes to school for a year. Now I know that you hear stuff like that ALL the time. If bladdee-bla number of you give bladdee-bla amount, bladdee-bla can happen. And that’s what it sounds like to our numb, sore, burned out ears. Just bla-dee-freakin’ da. Maybe you already give to a lot of other things. Maybe you are in a hurry, and don’t have time to click over or take the time to walk to your purse and get your wallet. Maybe you are just ticked at me for guilt tripping you. So, if you’re already mad about the guilt trip, this shouldn’t make things any worse . . . The love of Christ COMPELS me NOT to live, or blog, or eat, or shop, or be JUST FOR MYSELF. That is just an old dried up way to live. I want to live abundantly for HIM who died for that sweet little boy, named Christian. Since this opportunity is one that I can introduce to my awesome blog-readers, AND since you are one of them, AND since you are still reading, let’s do this. Okay, I’m done. Give $5. Click here. There is also an link on this fundraising page where you can learn even more about Kids International Ministries and the amazing work this school is doing. I appreciate the reminder that I have so much compared to most people in the world. I was working on our family budget and planning a trip to buy halloween makeup when I read this post. What a wakeup call! Thanks for the perspective.